The holidays are approaching and every year we get all warm and fuzzy thinking about traditions. Traditions from our past, traditions we will continue and traditions we will start with our own children. Every year since our son was born we have given him a limited edition Holiday Hess Toy Truck. Even as a little baby he was attracted to the lights, sounds and ZOOMability that is synonymous with Hess trucks. Since 1964 Hess has been making a line of quality trucks for the holidays and this year promises not to disappoint. This year Hess features a Hess Truck and Race Car. The set is a step above all the rest as both vehicles will feature lights, and sounds ready to provide hours of imaginative play. These Hess trucks are not only fun, but they are durable (TRUST me on this one! ), unique in their attention to detail and are interactive enough to stimulate the senses without going overboard. I thank Hess personally for including an "off" button, saves those batteries and it&apos;s convenient when your child carries the Hess truck everywhere (those sirens sound real!). 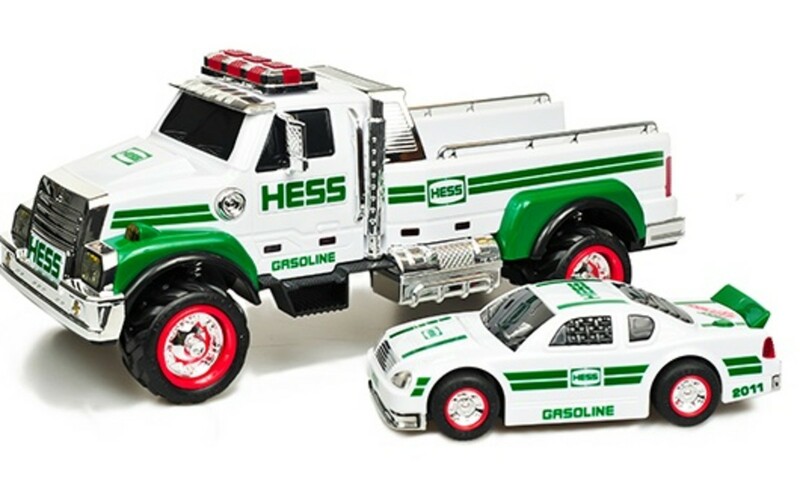 Hess trucks are sold exclusively at Hess retail stores (all located on the East Coast!) and retail for $26.99 (including batteries). It will not be long before we hear the famous jingle, "The Hess truck is back, and it&apos;s better than ever..." Hess trucks will be available starting November 11, 2011, while supplies last. Click here to find a location nearest you. Momtrends was not paid for this post, but we did receive a sample of the 2011 Hess truck to preview.